The National Museum in Czech Republic is a partner of the AthenaPlus project. 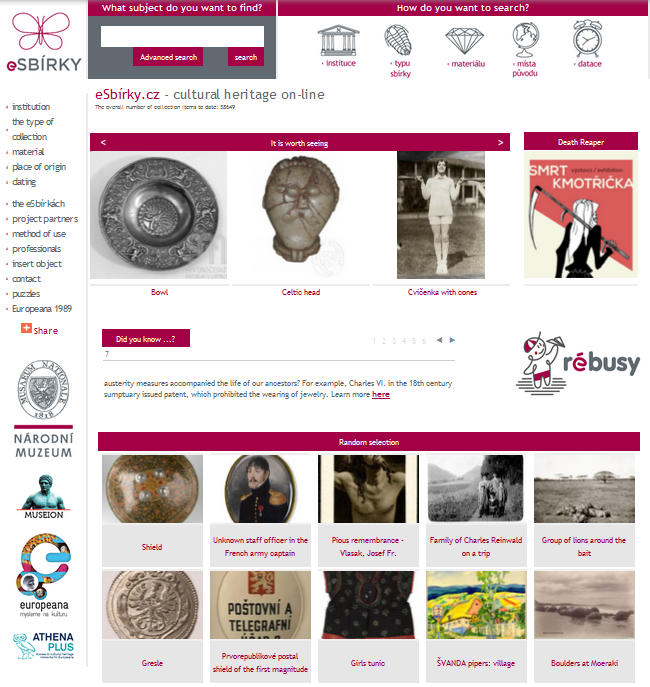 Its platform of digitized content – eSbírky – plays an important role as a national aggregator to Europeana for museums and galleries all over the Czech Republic. 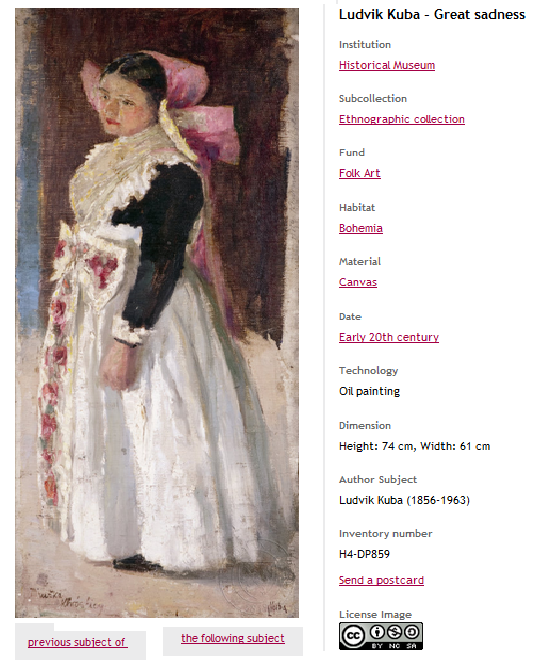 Access to online collections has become very important in the new era of modern technology. The National Museum in the Czech Republic has joined this movement in November 2010. It was originally intended only for presentation purposes of the National Museum as part of its involvement in the European Project Athena. Today the platform presents collections from more than 40 museums, galleries and other cultural institutions – 10 of them have also become partners of the Europeana network. One of the purposes of the platform eSbírky is to present digitized collections of Czech cultural heritage institutions to the general public. One of the most interesting collections that eSbírky provides is the collection of 18th and 19th century folk culture. Although it is assumed that the modern era with its new technologies and urbanism has destroyed traditional folk culture, it has on the other hand brought forward the means to research, identify and document certain objects of folk life. These objects – that would have been lost otherwise – can now be embedded into new contexts and thus kept alive! You are invited to discover and re-discover the everyday life of our European ancestors on eSbírky. Thanks to different museums from Czech Republic, such as the National Museum in Prague or the Silesian Museum in Opava, users can browse more than 900 objects from that particular topic. One must not forget though, that ethnographical collections are not only a part of big national museums. Very often treasures of folk culture can also be found in small cultural institutions and municipal museums. Thanks to these very rich collections and their public presentation we can learn many interesting aspects about our own culture and habits. This can also be interesting for foreigners who would like to learn more about Czech culture and habits. For this reason eSbírky plays an important role as cultural mediator between people from different ethnic groups. This demonstrates that eSbírky, as a national aggregator, is one of the elements that originates from Europeana, – a place where we can learn more about the people from all over the world and also develop our understanding and interest in other cultures. 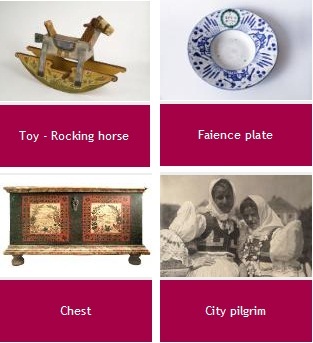 Our cooperation in the AthenaPlus project will enable you to see more than 600 of the best ethnographical objects provided by eSbírky and made accessible via Europeana.